We check in to see how another two rookies are faring so far in the big leagues. Each week throughout the season, I’ll cover at least two rookies in the Rookie Report Card and try to always include the biggest performers from that particular week. On top of reviewing my expectations for each player coming into the league and covering how he’s performed at the NFL level to this point, I’ll actually give him a grade in three categories. Those categories are performance to date, 2017 potential and long term upside. The series continues with a look at Chris Carson and Gerald Everett. 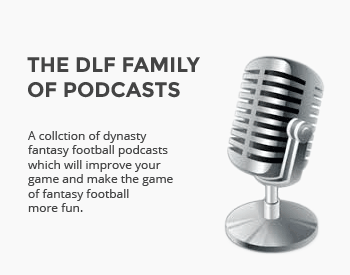 Dan is a jack of all trades but master of none.He has far too many hobbies (including writing the article you just read), is a die-hard Packers fan and can't wait to introduce his young son to fantasy football.Dan is a true believer that being a daily league player will make you a better dynasty owner. I picked up Everett in this year’s rookie draft. Interested in seeing how he progresses. Very good read! Thank you. I had just picked up Carson and can’t believe that Everett is still a FA in my league. My league mates are not dumb. Short rosters. I need to find a way to make room. This summer I was able to grab Tarik Cohen and Carson off the WW. Traded Carson for Mack Hollins and Cohen is already balling out. I would never have picked up either of them if not for DLF. Best fantasy football money I’ve ever spent. Great read, Dan. Own both. Got Carson for 20% of FA budget and was just offered a 2nd and Witten for Everett. With Hooper and Eifert as my TEs, maybe it’s time to say goodbye? I would sell for that. The 2nd is a wash for Everett but Witten gives you an upgrade on Hooper while you wait for him to develop. I don’t trust Eifert one bit. Lessseee… Carson passes not 1, not 2, but 3 starting level RB’s in the NFL on the same team, no less. And manages to almost single-handedly save the Seahawks from a woeful 49’ers team. In only 2 games, and that warrants a …. B-?! B minus. Really? And B- for the year too. Dude, something tells me you’re gonna be WAY off on this call. Will be fun to watch and see how it shakes out. And Everett leading his team in receving thru 2 games warrants a C+? Tough grader!